It was very homely being back in our old room again for this meeting, as the library’s seminar room had been taken over by adult education events. It was also good to have Laura back with us again, and as she had had to miss the previous meeting we backtracked slightly so that we could all re-engage with the Kortirion poem in its 3 published versions which were Laura’s special interest. The versions date from 1915, 1937, and 1962. 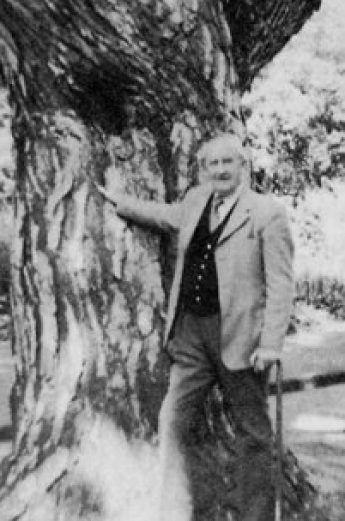 So the meeting began with Laura’s remarks that the poems were clearly written from the heart, and evoked the beauty of the Elms that Tolkien associated with Kortirion presumably because Warwick had been fortunate in the number and size of its elm trees. Laura considered the poem(s) a fine evocation of nostalgia and a melancholy lack of rejuvenation. Julie discovered that Dutch Elm disease had arrived in England earlier than the great epidemic of the 1970. It was noted that all the elms in England were ‘clones’ of those introduced by the Romans which impaired their resistance to the disease. Pat noted that the poem(s) are quite closely tied to the stories of the legendarium. And Angela observed that as with some of Tolkien’s other poems, the earlier version of Kortirion seem to be better than later versions. Laura went on to note particular vocabulary and changes, citing Tolkien’s use of ‘undespairing’ which, as Pat remarked, stands in contrast to the general tone of melancholy and the naming of the ‘Lonely Companies’ in the previous line. As an example of changes Laura drew attention to Version 1 (1915), in which ‘the fairies built Kortirion’. In the 1937 version the ‘fairies’ have been changed to ‘Elves’ while in version 3 (1962) the ‘Edain built Kortirion’. Laura then commented on the sudden intrusion of the authorial ‘I’ at the end of section III of each version. As this is introduced changes can again be seen: from version 1 ‘Yet would I never need depart from here’; to version 2 ‘When winter comes, I would meet winter here’; and version 3 – ‘Kortirion, I will meet the winter here.’ The changes are subtle but interesting. Angela picked out the altered use of pronouns in the 3 versions, which led to some discussion of the way Tolkien manipulates pronoun forms in accordance with medieval and continental notions of polite/deferential use and familiar use. In the Kortirion versions, ‘thou’ and ‘thine’ are generally preferred in 1 and 2, while ‘your’ is preferred in 3. Laura remarked that when compared to the Kortirion poems and the early material in The Lost Tales, The Silmarillion seems much simpler, but can be seen to be built on solid foundations going all the way back to these early notions of the stories. We moved on to look at the material selected for the meeting – chapters 3 and 4 – and Pat wondered at the range of ‘fairy folk’ mentioned in The Coming of the Valar. Not only these original beings, but brownies, fays, pixies, leprawns and others, are said to have been ‘born before the world, and older than its oldest’. The ‘leprawns’ occasioned some mirth on our part, and Tolkien’s liking for the concept of ‘older’ things was noted. Mike reminded us that Cornish ‘piskies’ are a Celtic fairy form, and Julie and I wondered if Tolkien had drawn his catalogue of various otherworld creatures from the list of ‘aelf …’ forms used in old English to gloss classical references to the nature spirits of Greek and Roman legend. Laura took this a step forward when she conjectured that the Solosimpi (aka Shoreland Pipers), forerunners of the Teleri in The Silmarillion, bored some distant relation to the sand fairies known in the classics as psamaid. Laura went on to comment on the pulsing of the lights when the trees are born, after the melting of the ice towers made by Melko which first upheld the great lamps. Angela thought the motif of Manwe’s collecting of the light in the air was easier to understand that in TSil. Chris compared the wavering streams of light from which Manwe harvests the light to the Aurora Borealis. Laura thought Melko’s deceitful willingness to create the pillars for the lamps was clever. Making them of ice so they melted was accomplished considerable disruption. Angela thought parts of these 2 chapters were grimmer than the version that we are used to in The Silmarillion, and Julie commented on the way, in The Chaining of Melko, that Nienna actually creates ‘black clouds’ of depression which are sent out into the world. I mentioned that I was surprised by the strangely realist description of Melko after his capture when he is said to have a ‘split lip’. Bearing in mind that this is a spirit being, even if he has taken physical attributes, it still seems unusually ‘non-mythic’ as an injury. Mike was also surprised by the level of gratuitous violence in this section, as we noted that Tulkas ‘smote Melko full in his teeth with his iron fist’. In fairness, Melko had just taken a swipe at Manwe with a iron flail. The ongoing treatment of Melko led Laura to draw parallels with the humiliation of Germany after WW1, and we considered whether Tolkien was asserting in this early origin myth a view that there was no pure good, just as later he would assert that nothing is created evil. Chris perceived echoes of LotR in the Chaining sequence as it initially plays on Melko’s pride to trap him. Chris likened this to the behaviour of the Mouth of Sauron. Laura remarked that the violence of Chaining episode comes as a shock as it is preceded immediately by the magical smithying of the chain Angaino by Aule. The conflict of magic with realistic violence we thought uncharacteristic of Tolkien. Changing the tone, Pat noticed that in one single page Tolkien mentions colours 13 times, often these are gold and silver, but we noticed bluish green as well, and there is less use of a monochrome palette in these chapters. The connection with Tolkien as artist was noted. Angela then drew our attention to Meril-i-Turinqui, the Lady of Kortirion who resides in her ‘korin’ of Elms – an interesting forerunner of Galadriel in Lothlorien. Angela noted Meril’s comment to Eriol that he will one day hear a gull and desire for his home will return. This will later be repeated in Galadriel’s warning to Legolas about the crying of gulls and a sea-longing. Laura noted Meril’s advice on desire was that it was always unsatisfied. Chris thought TSil would be easier, and maybe better, if it had been set out as it is in these chapters. We agreed, while noting that TSil is Christopher’s best attempt at arranging his father’s notes, so it might have been different if Tolkien had had time to put it together himself. Julie noted that at times in these 2 chapters the narration, which is actually Rumil speaking in ‘The Coming’ and Meril speaking in ‘The Chaining’, suddenly shifts from the usual past tense to the present. Laura and Angela observed that this use of the ‘historic present’ derives from Latin models and is always used to emphasise important actions. Julie remarked that while Eriol wishes to taste to Limpe – the special drink of the Gnomes, and is refused this by Meril, in primary world legend accepting fairy food and drink was believed to put a mortal in the fairies’ power. Pat and Laura both commented on Merils’ assertion of the impossibility of kinship between Gnomes and mortals. We moved on to darker matters as Angela noted that Utumno (Melko’s underground fortress) was not sealed when the Valar left, so it would have been possible for the balrog (later Gothmog) to escape. Mike commented that all prisons in fairy stories have a weak spot. Anegla observed that Melko has snakes, an animal not often used by Tolkien, and Laura wondered if they were ‘proto-dragons’. On the matter of creatures: Laura then noted in passing that shellfish had a pre-creation existence, and Chris and Angela drew attention to Shadowfax’s genealogy implicit in the mention of the three horses of Orome who drew Manwe’s blue chariot. Laura went on to declare that she thought the odd character known as ‘Tinfang Warble’ was sinister. The ‘Tin Fang’ concept being disturbing. He is a highly marginal character and mutterings of ‘the Pied Piper’ were heard. Chris noted that in these early versions, Fui (later Nienna) was the judge who sent wrongdoers to Melko. Mike wondered if the early Tolkien stories contained more allegory than the late ones, and whether in later versions it has become more restrained. I thought there were more references to mothers in these chapters than is often the case in Tolkien’s work, and Pat observed that Yavanna is a mother figure not only in her relationship to her son but as the nurturing earth ‘goddess’. We went on to look briefly at a small poem entitled ‘Habannan’ which Christopher places at the end of ‘The Coming’. It was written in 1915 or 16 and is a curiosity, apparently standing outside the material with which it is associated. Julie wondered why Tolkien mentions ‘faint guitars’ in the first stanza. Chris noted a distinct feeling of WW1 in the poem, and picked out the line ‘The great abysmal still Serene’ which Mike suggested was a reference to death, but Mike also thought the poem had echoes of ‘Omar Kuyyam’. The ‘untrodden places of an odorous plain’ were taken as a reference to the no-man’s-land of the battlefield. And overall we were persuaded that the poem was much more a reflection on the experience around a campfire close to a battlefield than part of any story. Its Old English title may give a more accurate indication. With apologies for having to English the thorn runes, the title is ‘tha gebletsode felda under tham steorrum’ – the blessed field/battlefield under the stars. ‘Habannan’ was an early name for a region near Valinor, so maybe Tolkien was trying again to mesh reality and his mythmaking. We ended with an intense response to Anne’s determinism from last time. Mike drew attention to linguistic determinism – one’s language determines how one is in the world. Mike added that Nietzsche held that things said outwardly lead to belief inwardly, and Julie related this to Melkor’s Black Speech. Linguistic determinism is a huge topic and we were out of time, but hopefully we will revisit this topic. We agreed to continue reading the next 2 chapters: – ‘The Coming of the Elves ….’ And ‘The Theft of Melko’. From Pakistan, our ‘virtual’ Southfarthing member, Omer, has sent a few brief comments on our last 2 discussions which will be added as soon as I have time to transcribe them.